Francine accepted a position in the Public Sector within the 8(a) Division of the Small Business Administration (SBA) Washington District Office in 2010. Here, Francine navigated small businesses on how to gain access to compete in the federal and private procurement markets. In 2013, Francine accepted a position in SBA Headquarters, Office of Government Contracting, Management and Technical Assistance. Here her work included negotiations of contract requirements for acceptance by SBA from other federal agencies, Compliance of Small business regulations, Business Development, and Contract assistance support for the economic growth of small businesses. In 2016, Francine accepted the role as West Coast Branch Chief within the 8(a) BD Program Office of Continuous Eligibility. She led a team to ensure all eligibility requirements were being met by Participants in the 8(a)Business Development Program. 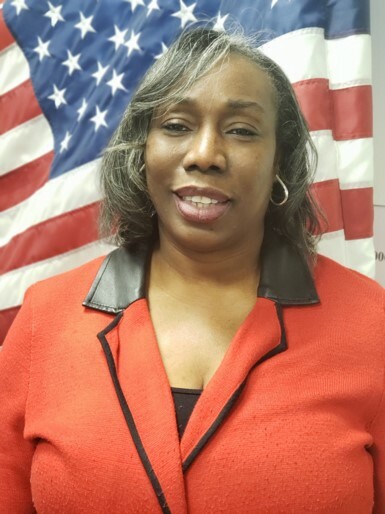 Recognizing the need for technology efficiencies, Francine was offered and accept the role as Program Manager for one of SBA’s IT modernization Project, Certify.sba.gov. She supported the administration’s effort to move from paper to a digital process to accept and process applications for small business programs. Now, Francine serves as procurement analyst in the office Government Contracting and Business Development, Policy, Planning and Liaison division. Here, she assists in establishing small business policy and evaluates rules to determine the impact and benefits to small businesses. Twenty-five years prior, Francine started her career in private industry, providing contract support to the federal government. Francine managed Business Development accounts in both Department of Defense and Civilian agencies. Her private industry career encompassed both large and small businesses. Her extensive experience in both managing and owning her own consulting firm has afforded her the special understanding and insight of the pains small businesses go through on a day-to-day basis.